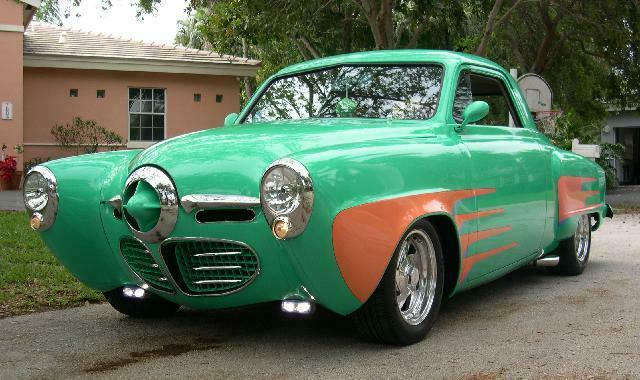 This super cool 1950 Studebaker Champion Business Coupe belongs to Judge Gene Fiero of Miami, Florida. Business coupes were intended for traveling salesmen, and as such, they lacked a rear seat but had an extra large trunk in which to stow merchandise. Studebaker only produced 4,493 Champion Business Coupes during the 1950 model year making this a relatively rare body style. 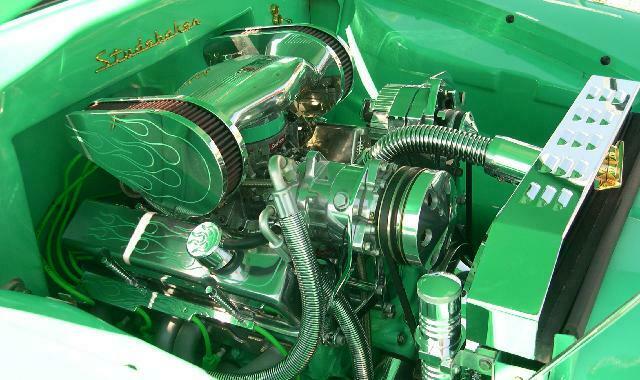 Power comes from a Chevy 350 crate motor bored 30 over equipped with an Edelbrock Performer intake manifold, HPC coated headers, and an Edelbrock 650 CFM carburator with custom tear drop air filters. This potent engine is mated to a GM Turbo Hydramatic 350 transmission with Lokar billet shifter and a 3.42 Chevy S-10 rear. The front end is Mustang II with 11" power disc brakes and Boyd wheels. Paint is PPG Summer Breeze and Coral with clear coat. 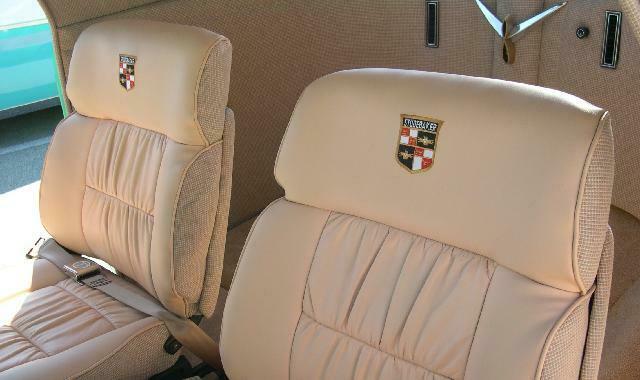 The interior features custom leather and tweed seats with embroidered Studebaker emblems and custom logo carpet. Amenities include air conditioning, power windows, power locks, tilt steering column with Billet Specialties steering wheel, power antenna, and a custom Alpine/Kicker sound system. This fine bullet nose Stude has won numerous awards. 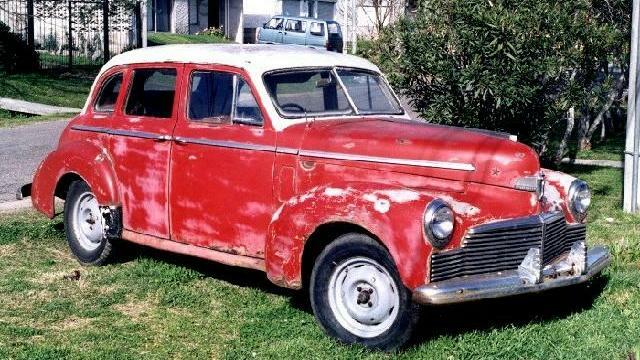 Although is looks quite similiar to a 1949 to 1953 2R C Cab, the 1958 Scotsman in the first three pictures can be identfied by the one piece windshield, large rear window, and late style hood as seen in the pictures above. Otherwise, the Scotsman appears much the same as the original 1949 Bob Bourke design. The Scotsman Pickup was introduced one year after the successful Scotsman sedan and station wagon. Priced at $1,595, the Scotsman Pickup was the lowest price American made pickup available. Scotsman pickups were made in 1958 and 1959 only and unlike Scotsman sedans and wagons, a V8 engine option was available. The custom Scotsman pictures were sent in by Brian Taylor. 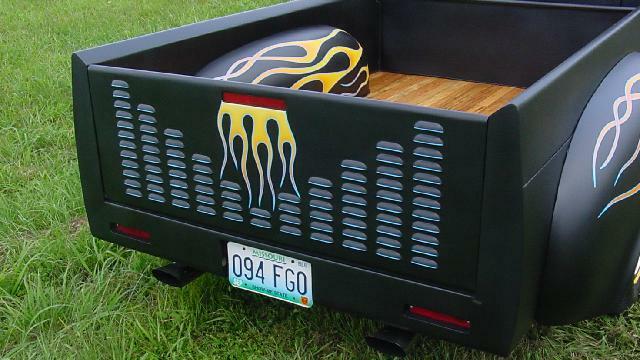 The truck belongs to Brian's Dad. 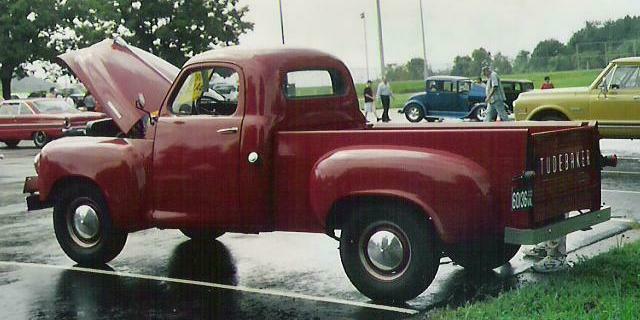 The red 2R Series C Cab Pickup was on display at a car show at Piedmont Virginia Community College. This is the original 1949 through 1953 design with the two-piece windshield and small rear window. 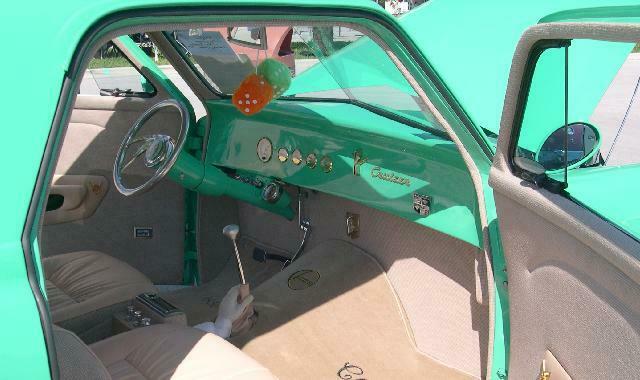 The one piece windshield was introduced in 1954, and the large cab rear window was added in 1955. The final picture shows Mark Carson's 1949 2R C Cab parked at the new Studebaker National Museum site in South Bend. Mark is a long-time follower of this page, and I appreciate his support. Construction of the new museum is moving along. You can check on the construction at the Museum's official web site. 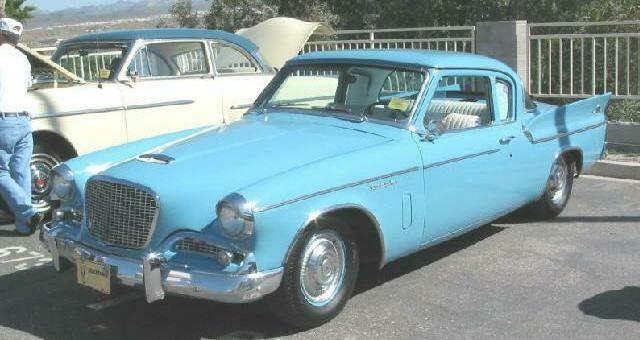 I don't know who owns this nice 1959 Studebaker Silver Hawk. The trim indicates that this car is equipped with the 259 V8 in that six cylinder 1959 Hawks had less brightwork. This was the last year for the Silver Hawk and also for six cylinder Hawks with the exception of export models. The 1960 Hawk looked about the same, but "Silver" was dropped from the name. Bill Junge sent in this picture along with a number of others that were taken at Arizona and Nevada car shows. 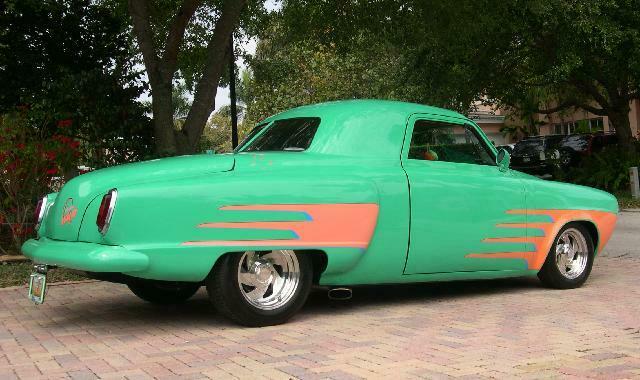 Bill has his own web site called "Bullet Nose Paradise" which is dedicated to 1950 and 1951 Bullet nose Studebakers. Thanks to Bill for his continuing contributions to this page. 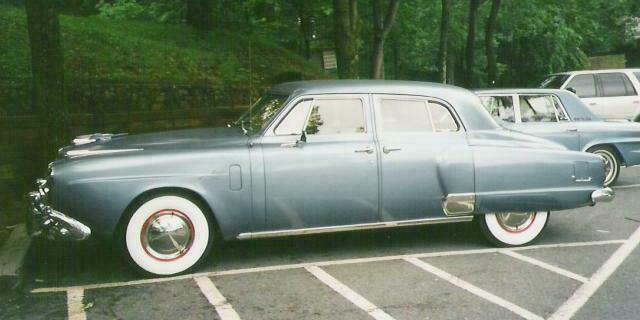 This 1950 Studebaker Land Cruiser belongs to Melvin Wampler of Bridgerwater, Virginia. 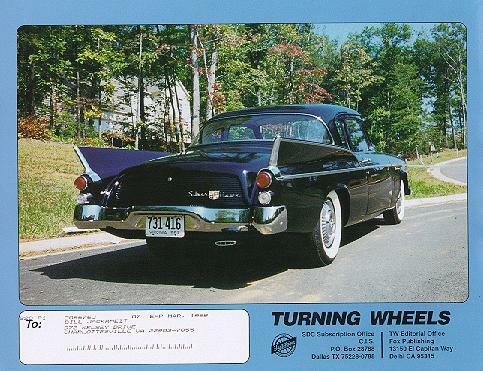 Melvin's fine Studebaker was the Stude of the Month on this page in February 1998. This more recent picture was taken at Michie Tavern near Charlottesville, Virginia. The 1965 Studebaker Cruiser parked next to Melvin's Land Cruiser belongs to Preston Young. Jason Vogel of Rio de Janeiro, Brazil took this picture of a 1942 Studebaker Champion while on vacation in Uruguay. 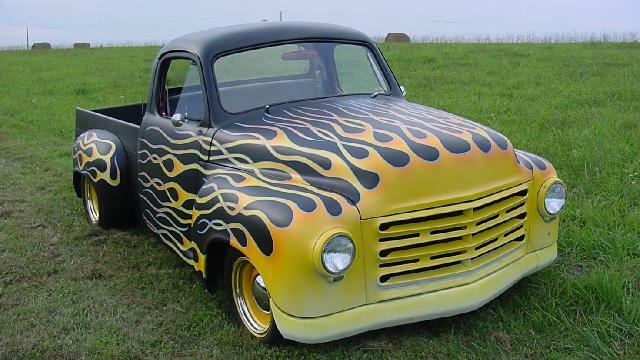 According to Jason, this is a typical paint scheme for an older vehicle in that country. If you look very close, you can see that this car is right hand drive. Jason notes that until after the Second World War, automobiles sold in Uruguay and also in Argentina were right hand drive, and many are still in service. He further indicates that automobiles in Uruguay have to work a great deal before retirement, and that many vintage American cars are in regular use there. Thanks to Jason for his continuing contributions to this page. After a break of several months, I decided it was time to post more Stude graveyard pictures. These two continue a series sent in by Bill Junge featuring junked Studebakers on an Arizona Indian reservation. The 1955 Coupe is a Regal model with the two-tone pink and white paint scheme that was popular at the time. The small molding extending down vertically from the roof base to the wide side molding located just behind the door identifies this as a late 1955 production model. This molding determined the two-tone paint treatment which was different on earlier cars. For those who dared, three-tone paint schemes were also available. The 1961 Lark is a Deluxe two-door sedan with optional quad headlights. Quad headlights were standard on Regal models and optional on Deluxe models. This was the first year for the overhead valve Skybolt six which was a conversion of the earlier 170 cubic inch Champion flathead six. An unusual aspect of the 1961 Lark is that the side trim was raised above the fender crease. I always thought that looked a bit strange. This was rectified in 1962 when the side trim was brought back down to the fender crease. 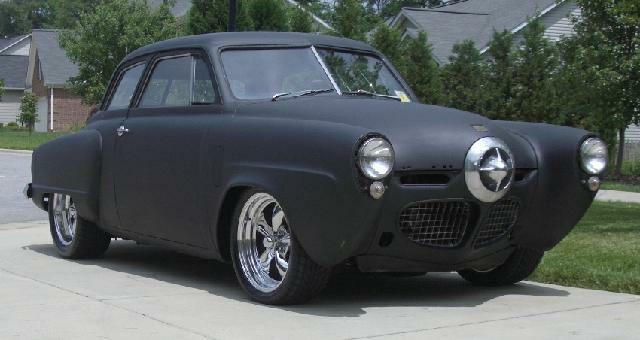 Matt Hurley of High Point, North Carolina sent in this picture of his 1950 Studebaker Champion project car. Power comes from a Chevy 350 V8 mated to a GM 700R-4 automatic transmission. 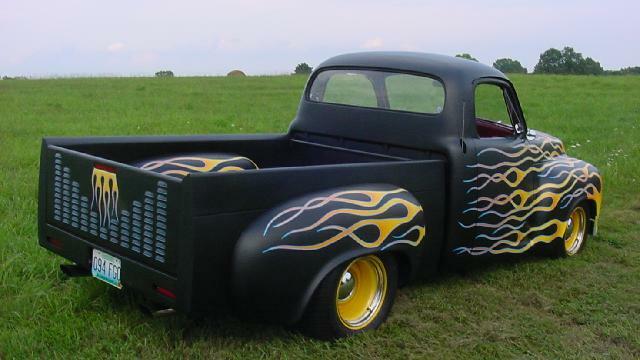 The frame is from a Chevy S-10, updated with lower spindles and leaf springs. Wheels are American Racing 18x7 in front and 18x8 in back. Matt describes the car as "under construction" including the interior which he says still needs everything. The car is driven to work on a daily basis unless it is being worked on. 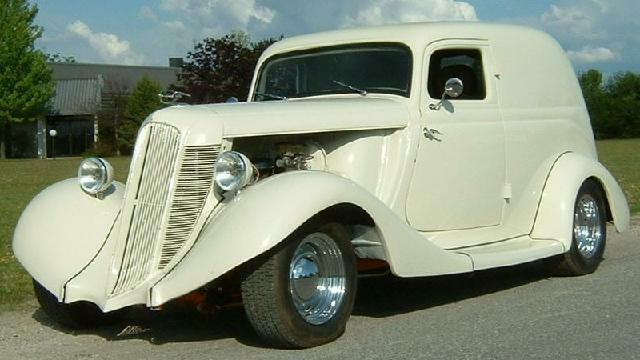 Jim Doel of Perth, Ontario sent in these updated pictures of his 1935 Dictator Sedan Delivery project. 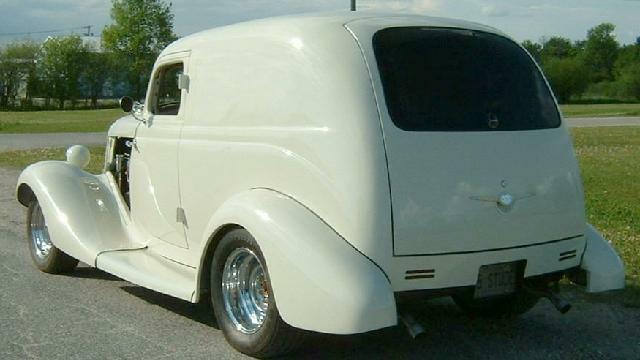 This cool street rod was constructed from a 1935 Studebaker Dictator sedan and the rear section of a Chrysler PT Cruiser. Jim refers to it as the "Studecruiser" which seems appropriate. As far as I know, Studebaker did not make a Dictator Sedan Delivery. The closest they came were a small number of wood body station wagons with bodies provided by outside suppliers. The feature toy this month is the Racing Champions 1951 Studebaker Starlight Coupe. This model was issued several years ago in a number of accurate factory colors, five of which are shown above. In addition to the stock version, there were also hot rod versions and even a South Bend City Police version. This very nice 1:64 scale diecast model features an opening hood with engine and wide whitewall tires. While no longer in stores, examples can be found on eBay and generally cost $6 to $10 each in their original packaging. More toy Studes can be found in the Stude Stuff area of this page and on my Studebaker Toys Home Page.